CHICAGO (WLS) -- A fire broke out overnight at a Gold Coast high rise, officials said. The fire started on the 37th floor of the building in the 1000-block of North Lake Shore Drive, officials said. Police officers rushed in first and put out the flames as the fire department was arriving on the scene. 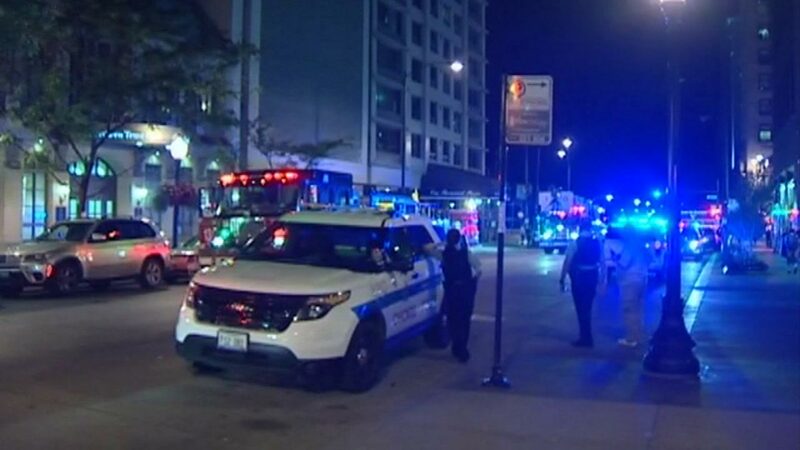 "I definitely have to give props to the Chicago Fire Department and police department, they showed up very quick and before I knew it, by the time I arrived, relatively closer to the scene everything was out and everybody was relatively calm and happy," said Chris Beck, a witness. Officials say a 95-year-old man lives in the unit and his caregiver got him out safely.